 Smaller Hospitals Reach CT Dose Reduction Through Education, Collaboration - ONRAD, Inc.
DiagnosticImaging | Smaller hospitals might worry they don’t have enough staff or time to effectively reduce CT dose exposure for patients, but one hospital’s success proves it can be done. By changing protocols for CT angiographic imaging, Gundersen Lutheran Health System, a physician-led, La Crosse, Wis.-based health system serving 19 counties, endeavored to reduce dose exposure after purchasing a dual-source CT system in 2006. Rather than use a generic protocol for all patients receiving CT angiographic imaging, radiologists and technicians determined proper dosage based on patients’ body mass index. The result: a 29 percent drop in dose exposure. This accomplishment prompted radiologists to apply reduction efforts to all protocols. In addition to tailoring protocols to the patient, Jafari said the hospital’s program had other key points to ensure reduction, many of which focused on changes that were easily accessible. For example, Gundersen made advanced certification from the American Society of Radiologic Technologists a condition of employment for technicians. The hospital also created a “frequently asked questions” booklet for patients and physicians. The booklet is written in lay terms and includes answers to the questions Gundersen radiologists receive most often. Other key steps included properly maintaining equipment and monitoring radiation dose. The program has worked so well that Gundersen is in the process of expanding it throughout its affiliates. There have been hurdles to fully implementing the program, however. Many different CT scanners exist, and each one is programmed with a different number of protocols. Educating referring physicians about the ALARA principle (“as low as reasonably achievable”) and how to use American College of Radiology criteria when ordering a CT scan can also be obstacles. You will likely need to meet with different departments to explain the resources you have available and how to access them, Jafari said. But there are steps smaller hospitals can take to enhance their chances of successfully controlling CT dose exposure. Jafari recommended you focus reduction efforts on certain populations: pediatric, pregnant, and repeatedly scanned patients. Consultations with a qualified medical radiation physicist and a CT scan application specialist can help you stay up-to-date on the best ways to operate and maintain your equipment. Lastly, follow the guidance from the Image Wisely and Image Gently campaigns is always a good practice, she said.